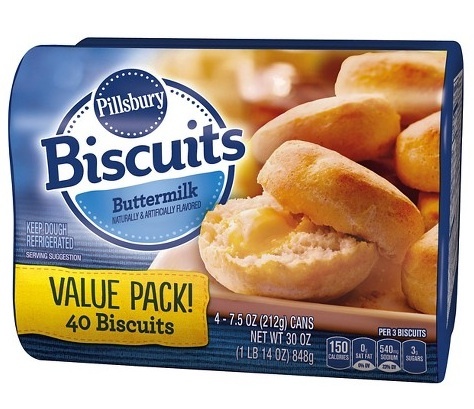 Pillsbury Buttermilk Biscuits (the 4 pack). These can run from $2.50 to $2.98 depending where you buy them. Remove one of the cans and pop it open. Be careful, as opening these can cause accelerated heart rate, palpitations and even mild panic attacks…. Then you want to either poke holes in the biscuit centers with a small round cookie cutter or just stick your index finger right through the center and create an opening. I prefer the latter as it requires less clean-up and effort ;). Then place them in the frying pan with some oil. I generally have the oil heated just below medium heat as they tend to cook rather quickly. Also, you don’t need much oil – keep it no higher than an inch deep (really, that’s all you need). Once you stick them in the pan, keep a close eye and turn them over when the side submerged turns a golden brown like shown above. Once all are out, let them sit for a couple minutes. 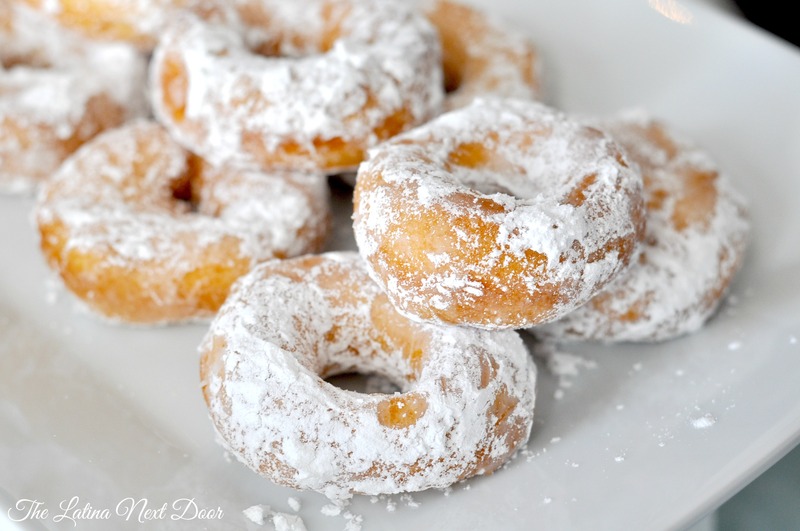 In the mean time, put some powdered sugar in a small bowl. Then just toss these babies around in it. And there you have it, another ridiculously simple dessert brought to you by the Latina! We love to eat them warm. 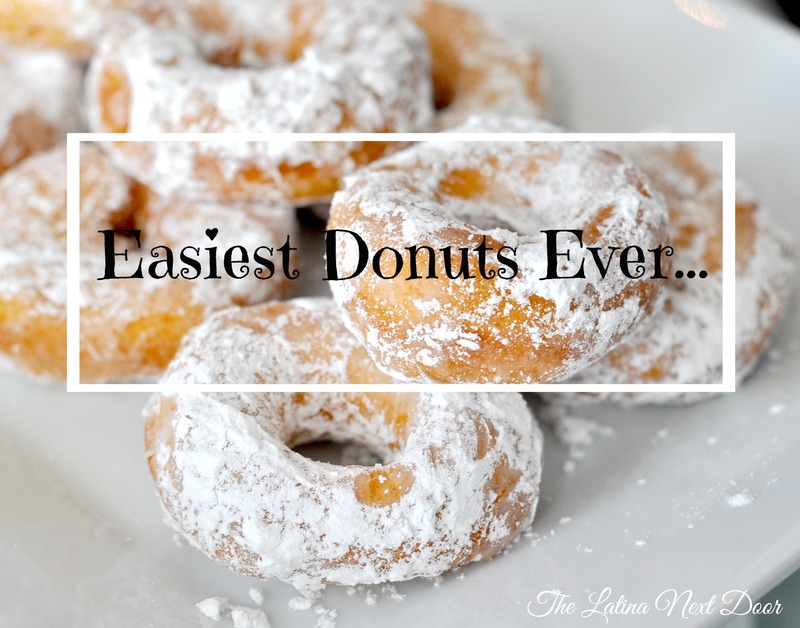 They literally just melt in your mouth (drool)…. And what’s great about these is that the possibilities are endless. You can make a vanilla glaze and add sprinkles or you can drizzle chocolate syrup right over them. You can even mix cinnamon and granulated sugar and toss them in that mixture. They really are versatile! It’s great to have this little pack around too, cause when your sweet tooth calls, they are in the fridge and ready to eat in a matter of minutes. The convenience is hard to beat! If you enjoyed this, here is another little something I make from Pillsbury as well. You’re welcome! 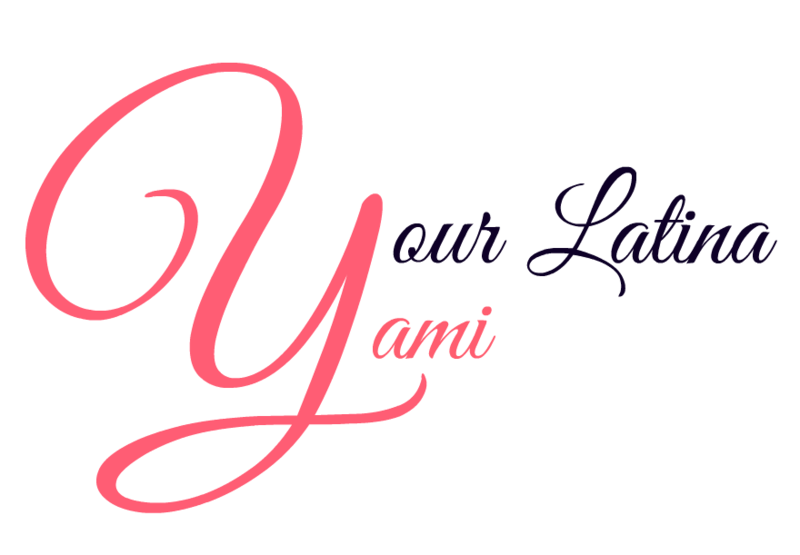 YUM-YAMI! Thanks for the recipe! Parents will LOVE! Those look glorious!!!! Great idea!!! Ok, that was just too easy!!!! We don’t deep fry anything here and I bet it would work by doing the same thing on a cookie sheet, bake, then mist with a touch of oil and dust with cinnamon sugar. hmmmmm great, now I’m hungry for donuts! Thanks for taking a minute to check it out. I’m not sure if you have baked these before, but if you do, the “consistency” of the dough will be more like a biscuit than a donut. 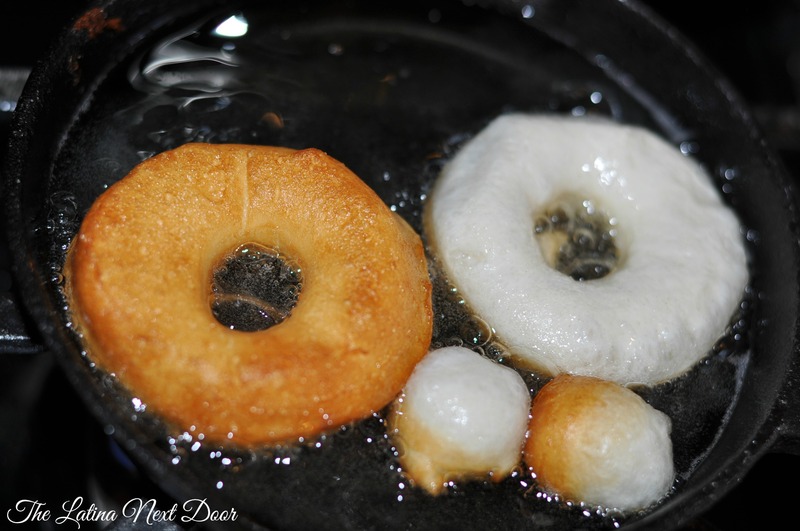 The frying is what actually transforms the dough, but I would love to know what misting it with oil would do!